When it comes to putting your furniture in storage, there are certain rule and guidelines you need to abide. Not every material is the same – and thus, no item needs the same conditions. 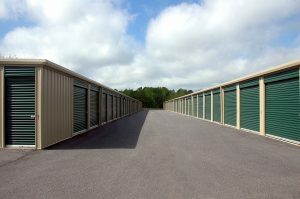 For example, when you are storing items made of wood, you will need to take certain precautions. Wood can easily be damaged and can be attacked by bugs or termites if not stored properly. Also, it must not be exposed to weather conditions or moisture. In this article, find out all the things you need to know when you want to store wood furniture in safe storage facilities in New Jersey. How to store wood furniture itself. It’s important to talk about storing wood materials. That way, you will learn about the things that can damage the material, but also how to deal with lumber and how to support wooden items. If you are new to woodworking, you might not know just how bad the weather can damage lumber. The planks can warp and bow, and in the extreme cases can get so destroyed they become useless. There are some ways in which you can fix them, like squaring it off, but this process will only take your precious time. This is why it’s better to store wood furniture and lumber. You will protect them, so there will be no need to try and salvage them – thus saving yourself both time and money. 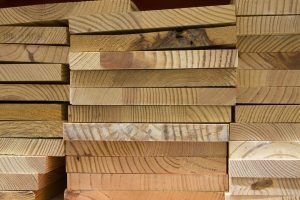 So, what should you keep in mind when storing lumber for woodworking? First, if you are air-drying the lumber by yourself, there are a couple of things to be careful of. Because the process expels a lot of moisture into the air, you should do it away from the lumber you have already seasoned. Also, you should do the process outside. Otherwise, the humidity in a closed space, like your basement or garage, can rise up, damaging the dry lumber. Finally, drying lumber indoors takes longer than drying them outdoors – for the same reasons. This is why you should dry your planks outside. You should stack them away from rain or direct sunlight, but also off the ground. Make sure you support the boards every 16 to 18 inches. Otherwise, they can bend. If you have kiln-dried wood, then you should keep it indoors. Keep them in your workshop if you can. If not, then a garage or storage is alright, as long as you keep the humidity the same. This lumber already has a specific amount of moisture content, and changing the air will change it – which you do not want. Other than providing the support to the wood you are stacking, you should also think about saving the space in the storage. However, these two factors often come into conflict with one another. Saving space means putting pressure on the wood which can damage it. On the other hand, by having more support items, you will have less space for placing lumber. For example, when stacking planks, you need to think about the weight of the whole stack. Do not overdo it to save space – excess wood on the top can make the lumber on the bottom suffocate, bend or even break. When storing wood vertically, you need to make sure it is completely dry. If it’s not at its required percentage, you should keep it horizontal. Also, make sure you have the support both on the top and the bottom of the planks, and keep them elevated to evade any water damage that can happen. Finally, you can also hire professional packers to help you with stacking and packing your lumber. Now let’s talk about storing the items and furniture made out of wood. This is harder than storing lumber because the furniture is already finished. The items can have odd shapes or can be heavy – like wardrobes and bookshelves. 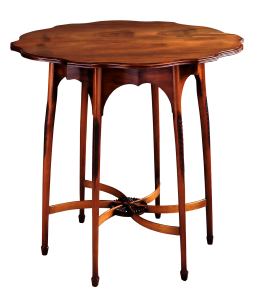 Because of its complexity, there are many factors that can damage wood furniture. Physical damage can break it, and environment affects it in different ways. For example, your furniture may crack or split, and these can all be pretty difficult to repair. In order to save your furniture from this, you should treat it with a wax coat (or furniture polish). Apply these a few weeks before you store your furniture away to make it more stable and resilient. The shape of items can make it hard to store. You should always empty your furniture. This is important for more than one reason. First, it makes the items lighter, so it’s easier on you and the reputable long distance moving companies NJ. Then, it’s easier to lift the items and keep them in storage. Another reason why emptying those drawers and shelves is important is because the items inside can damage the wood. For example, a pen you have can break during transport and spill the ink onto the item – thus damaging and staining it. When you want to pack and store wood furniture, you might be tempted to use bubble wrap to protect them. However, this will choke your furniture. Wood needs to breathe, so use white cotton or similar breathable materials. They will protect your items from dust or debris to get into the crevices of your items. Finally, finding a good storage unit will help you save your wood furniture. If you are renting a unit for the first time, try to find the one with a controlled climate. If there is not enough humidity, then the wood can crack. On the other hand, too much water in the air will warp and bend the wood components. This is why it’s important to find a good storage, and good movers to help you store wood furniture in it.